The Google map above shows free listings of builders in Perth Western Australia. If you like this Perth builder's resource, please click LHS share buttons: If you think of any useful resource material to add to this Builder Perth web page, contact Ben Grummels. i-framing your home page at www.builderperth.com excllusively or part of this web page. Embedding your Perth building company video ad on this web page. 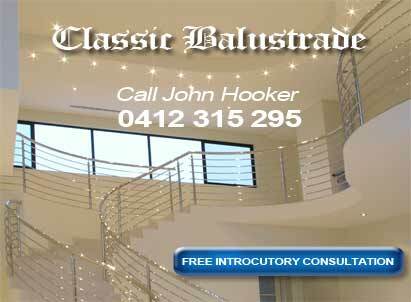 If your Perth building company doesn't have a promotional video yet, we can produce and contract video marketing of it. (My amataure channels has had nearly 1,000,000 views.) Example video marketing below. Link building from this web page. In Australia risk management for construction emerged in 1999 based on techniques developed by Standards Australia, an independent nonprofit considered the country’s leading nongovernmental standard-setting body. Buildings began being inspected by local councils, and risk assessments by those councils determined the number of inspections needed, with standards varying by council. But the 2005 Building Professionals Act allowed for accreditation and regulation of private inspectors. By opening to the private sector, Australia introduced competition to a system that had primarily been the responsibility of local councils. Furthermore, in 2005 Australia amended its Building Code to introduce a risk-based categorization system for buildings that inspectors had to follow. In addition, in 2010 changes were made to the Building Professionals Board, which had been the sole body authorized to accredit private inspectors, regulate the profession and enforce disciplinary and legal actions against private inspectors. Now principal certifying authorities can accredit professionals from various backgrounds including: architects, engineers, planners and building and land surveyors to serve as inspectors. In addition, the board became responsible for accrediting, regulating and enforcing actions against certified inspectors. As a result, principal certifying authorities can retain both private and council inspectors, who report back during and after construction. By law, principal certifying authorities must be designated to conduct the mandatory inspections at the critical stages (stipulated in the Environmental Planning and Assessment Act), manage inspections and decide if additional inspections are needed based on a building’s risk level. The principal certifying authority must also issue the certificate of construction (a mandatory certificate that must be obtained prior to the commencement of construction works) and certify the safety of the building upon completion of construction. The principal certifying authority is held liable if any issues arise related to the building construction. However, inspectors must obtain an annual professional insurance up to a minimum of A$1,000,000 in order to be retained in their position. A building’s risk level is based on its classification, use and height. Volume 1 of the 2005 Building Code of Australia considers all buildings low risk regardless of their class if they are less than 4 stories except class 9. Class 9 buildings are considered high risk due to their uses and regardless of their height. Moreover, some buildings are considered high risk because of their importance as class 3 or 4 buildings. Class 3 buildings house more than 250 guests, motels or guest houses. Class 4 is the residential part of buildings classified under classes 5, 6, 7, 8 or 9. For example, if an office building has one floor with residential apartments, that floor is classified as class 4. Risk levels and building classes enable principal certifying authorities to develop inspections that protect public safety. For example, 2 buildings might be considered low risk because of their height. But depending on their uses, 1 might require more inspections because of the complexity of its construction. In addition to the risk-based inspections that principal certifying authorities deem necessary, several critical inspections are set by law for each building class, including standalone residences (class 1) and garages and parking lots (class 10). For classes 1 and 10, 7 inspections are required, compared with just 3 for class 7 warehouses.